Great step-by-step projects to keep your inner maker happy. There are a definitely some higher level skills involved in many of the projects, so it may take some trial and error for those completely new to creating. If you have a little bit of time and motivation, you can turn your old junk into a junkyard band worthy of Fat Albert – and it just might inspire some musical recycling of your own invention as well. 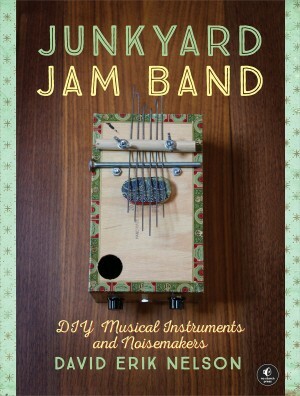 Junkyard Jam Band is a do-it-yourself book for the musician in all of us. Using all sorts of common household objects from slinkies to cigar boxes and, of course, duct tape, you can create a variety of cool instruments to let your inner Beethoven out. The projects in the book are separated into two different sections. Part I: Quick Projects and Tinkering is made up of eight projects that are meant to be pretty short undertakings. Not only do they not take too much time to complete, the projects in this section are also generally less difficult all around. These are the perfect start for someone looking to get into creating their own instruments, but who may not have any experience in doing so. They’re also great for those of us who either don’t have a lot of free time, or just plain like some good old fashioned instant gratification. Just because the projects are fairly quick in this section doesn’t mean they aren’t worth your time. You’ll create some pretty cool music makers, including a pvc slide whistle that you’ll hope your kids don’t find, and even a droid voicebox. Once you’re fairly comfortable with the projects in Part I, you’ll be rady to take on Part II: Weekend Projects. As the name suggests, you’ll need to set aside a little more time to get these instruments up and running, but playing your own handmade steel-stringed ukele will be worth every hour spent crafting it. The projects in Junkyard Jam Band will run the gamut of challenges from wiring and circuits to some rather intricate hand work, but each project is presented in a simple step-by-step format, with accompanying images to add clarity. The book ends with a crash course in music theory, giving novice musicians a head start on playing their newly created instruments. 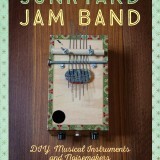 Junkyard Jam Band is the perfect gift for the hard to buy for music lover on your list. 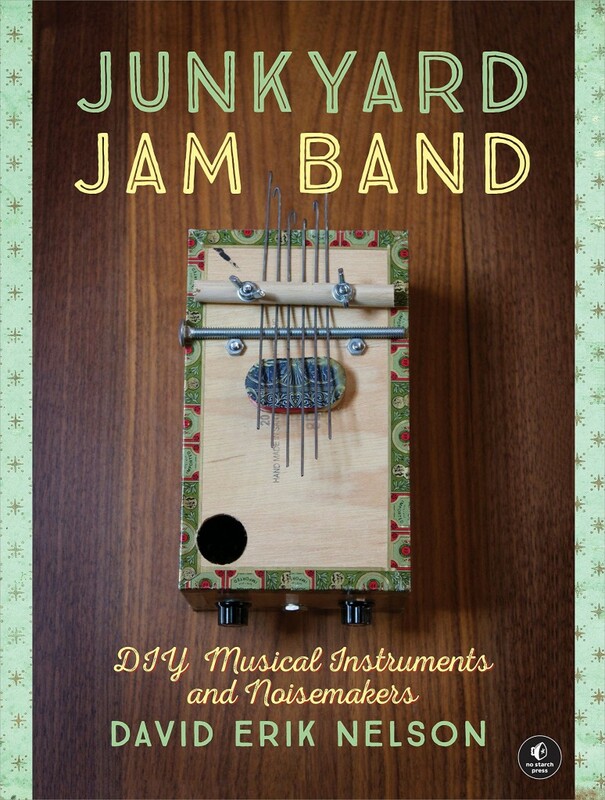 By blending the fun of crafting your own items with the awesome playable instruments you’ll have at the end of each project, Junkyard Jam Band satisfies the maker and the player in all of us.